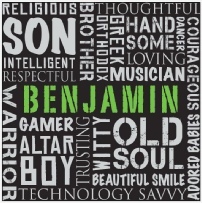 Benjamin was born on March 18, 1999. ​As a baby, toddler and little boy he was always full of life, laughter and joy. Benjamin was a cub scout, played soccer and baseball, loved to swim and play with his friends. He was a typical teenager who loved playing xBox and was obsessed with Minecraft. He was in fact very technically savvy and very often taught others how to use modern technology. He liked to be called “Ben” and was just starting to think about driving, dating and excited to be starting high school in the fall of 2013. Benjamin was funny and loved to make people laugh which often involved jokes and pranks. As his parents, from a very early age we would often say “he was 3 going on 30”. He was wise beyond his years and was often described as having an old soul. Anyone who met Benjamin and had a simple conversation with him quickly realized he was a bright child destined to do great things. In 4th grade Benjamin was selected by his grammar school principal to assist the school board in interviewing candidates for his replacement for the following school year. This was a great honor to be selected among so many other students. 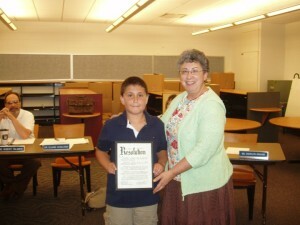 He impressed several board members with his maturity and intelligence and as a result the superintendent of schools presented Benjamin with an award recognizing his accomplishment. Benjamin was a strong willed, opinionated, kind hearted and a well versed young man. He often thought of his future. He hadn’t quite figured out what he wanted to be when he grew up but he sometimes talked about becoming a teacher. He was intrigued with science and loved computers. Benjamin was born and raised in the Greek Orthodox community. He was an altar boy and was actively involved in our church youth group,. He could read, write and speak Greek and was a pretty good Greek dancer. Benjamin loved children, especially babies. More importantly, he was a great big brother and his little brother’s HERO. He was an amazing son, who always kept us on our toes and often left us speechless as he constantly astonished us. Benjamin was and will ALWAYS be our HERO. NO words can ever express how much we love and miss our beautiful boy. His memory will be kept alive forever and our love for him will hold strong until we are reunited one day.